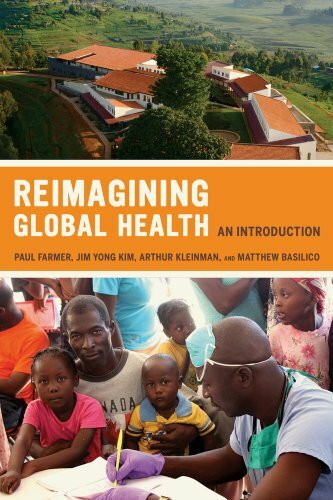 throughoutReimagining Global Healthbring together ethnographic, theoretical, and historical perspectives into a wholly new and exciting investigation of global health. The interdisciplinary approach outlined in this text should prove useful not only in schools of public health, nursing, and medicine, but also in undergraduate and graduate classes in anthropology, sociology, political economy, and history, among others. Arthur Kleinmanis Professor of Medical Anthropology at Harvard University;Yunxiang Yanis a Professor at the University of California, Los Angeles;Jing Junis a Professor at Tsinghua University (Beijing);Sing Leeis a Professor at Chinese University of Hong Kong;Everett Zhangis a Professor at Princeton University;Pan Tianshuis a Professor at Fudan University (Shanghai);Wu FeiandGuo Jinhuaare Professors at Peking University (Beijing).